Is It Cool To Like Tom Cruise? | Warped Factor - Words in the Key of Geek. Is It Cool To Like Tom Cruise? 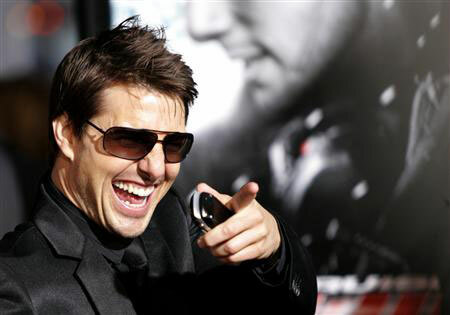 He's a global superstar, a film phenomenon, but is it cool to like Tom Cruise? Tom Pheby goes all mission impossible to find out. 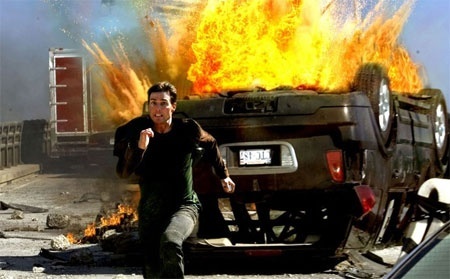 Tom Cruise has achieved the enviable position of starring in and producing films that he wants to make, and has done so, rather successfully, for a number of years now. He's earned the privilege, and as it turns out he's rather good at picking a winner as he's reportedly worth an estimated $350 million! Not too shabby for a man who is ridiculed widely for his religious beliefs and constantly mocked for his height. Though I expect rolling around like Scrooge McDuck in billions of dollars probably more than makes up for a little name calling like that! 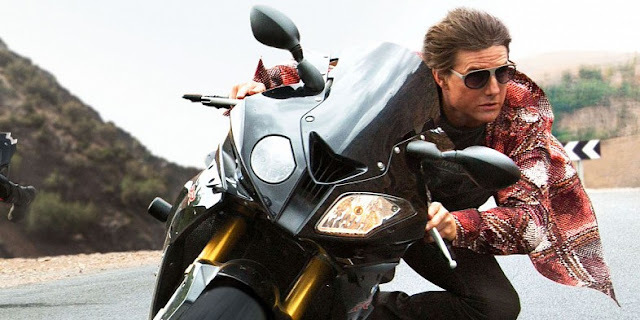 Cruise's most recent movie, Mission: Impossible - Rogue Nation, has been a massive hit, and, at the time of writing, it has earned the healthy sum of $400 million from cinemas around the globe, as far apart as High Wycombe to Madagascar. Cruise has already said that work begins next year on a M:I-6 (oh, I just realised, that can't be a coincidence can it? ), which means this is all "one in the eye" for those that have been sniping that the star is past his best and that his ability to put bums on seats is in the wane. Cruise must be reclining on a beach somewhere allowing himself a self indulgent smirk, or perhaps he is simply on his phone to his accountant to see what has sneaked into his bulging bank account overnight. "I do what I do, and I'm very privileged to do what I do." He is the master of his own destiny, and you can't help but feel that Tom has one eye firmly on what happens once those boyish looks of his disappear and already has a plan for when he can no longer run around like a randy ostrich or control a motorbike with his feet on the set of yet another blockbuster action movie. Cruise has been one of the biggest stars in Hollywood since the mid 80's. He started his career at age 19 in the 1981 film Endless Love. After supporting roles in Taps and The Outsiders, his first leading role was in the romantic comedy Risky Business, but it was his turn as Pete "Maverick" Mitchell in 1986's Top Gun that propelled him to world wide fame. Once the Cruise hit machine got up and running it seemed like it would never stop - The Color of Money, Cocktail, Rain Man, Born of the Fourth of July, Days of Thunder, A Few Good Men, The Firm, Jerry Maguire, Mission: Impossible, Magnolia, Vanilla Sky, Minority Report, War of the Worlds......it's astonishing just how many good films this guy has made. There's likely not a person alive on the planet who hasn't heard of Cruise or seen one of his previous outings with him dangling upside down from the ceiling, throwing cocktail shakers through the air, or being straddled by Cameron Diaz at high speed (the last one is probably the ideal fantasy of 85% of the male population - and need not include the motorbike!). Yet throughout it all it's not often been considered 'cool' to like Tom Cruise. Why is that? In between the legs of Cameron Diaz during the filming of Knight and Day. Cruise has a back catalogue that most Hollywood actors would not only just dream about having, but would probably stand in a line alongside politicians to sell their soul to the devil to get one half as impressive. All a movie needed was his name in marquee to guarantee the big bucks (although, to be fair, he's never relied solely on his star status and rarely delivers a stinker), and it seemed that nothing or no-one could derail Hollywood's golden boy. 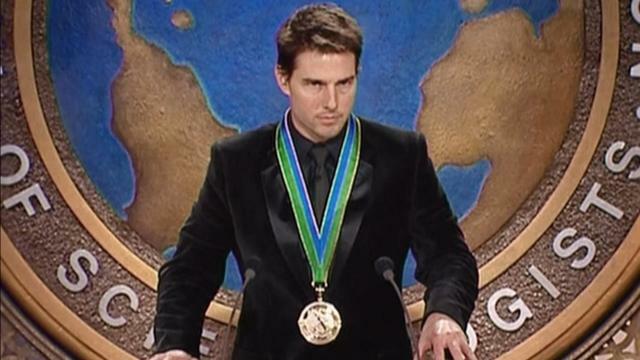 The clip of his antics on Oprah went global and his behaviour was construed by many as proof that Cruise was either taking something, had lost something or was in the middle of a major meltdown. Plus the fact that he had fallen madly in love with America's version of Cherie Blair hardly helped his case at the time. All of a sudden he was no longer Hollywood's golden boy. This was partly Cruise's fault for appearing on Oprah in the first place, which is purely a giant circus tent full of whooping seals and dreamy eyed idiots, eagerly waiting to be fed on diet of pitifully dull anecdotes and tiresome puns. A hall of mirrors that focuses on the worst of everyone and hangs its dirty washing out for all to see at the expense of the individual. It was like watching your pet dog engaged in a frantic and clumsy sexual act, wrapped around the leg of a passing pedestrian. Cruise just couldn't help himself, and spoon-faced Oprah urged him on like some mad hypnotist in a designer dress. It was also at this time that the media started to show an unhealthy interest in his personal beliefs. Tom is, if you didn't already know, a member of the Church of Scientology, which I know absolutely nothing about, but I'm sure they aren't hanging out in drafty old churches, listening to dreadful organ music, and regularly contributing cash for yet another roof. Mine seems to get through three a year! God really needs to get some insurance!! However, whereas I'm happy to put my hands up and admit my lack of understanding of all things Scientology, nothing seems to freak the press out more than not knowing what someone, or something, stands for. It seems the press were obsessed with any star linked to the religion at one point and became devoted to belittling members at every opportunity. It's a well established fact that what the media doesn't know, it simply makes up, and they don't tend to let the truth get in the way of a good story. I'm quite convinced that in a country like America where you can convince the masses that they have 'genuine rights', you can almost certainly undermine the credibility of a star and dent his/her image sufficiently to make him seem less likeable. So a crack appeared in the golden boy's armour, and those that wanted him to fail chiseled away. But Cruise carried on doing what he does best, and today, despite his advancing years, Cruise still manages to generate box office and his star is still up there with the Hollywood elite. If he wants money to make a film, it's probably no more than one call, two if he doesn't want to use his own cash, and three for room service if he feels like celebrating. Mind you, it seems Cruise rarely does the whole celebrity thing. There are, I suspect, a few paparazzi snaps of him looking like his head's been put on backwards after a night of excesses, but the most recent one I can remember was a quiet liaison with David Beckham - hardly Keith Moon and Oliver Reed is it? Yet on the other hand, Cruise will quite happily spend hours before a film premier taking photos with the crowds, speaking to the mothers of star struck movie goers on a mobile phones and signing autographs... lots of autographs. Cruise is a committed charity fundraiser for a host of good causes. This is often not common knowledge because it is curiously overlooked by the media. After all, it's much easier to make him sound bonkers, than acknowledge that he takes his responsibilities incredibly seriously and gives his time generously. So Tom's a giver, but he's also a doer, a hands on hero in disguise as it turns out. Through nosing around (and without resorting to bin diving or stalking) I've discovered that back in 1996 Cruise stopped a hit and run accident in Santa Monica, rescuing a young Brazilian actress called Heloisa Vinhas. But this act wasn't the whole story, he subsequently took her to the hospital and mopped up all her medical bills. He's quite a guy, not a flashy, one dimensional Hollywood stiff but a real human being that thinks of others rather than himself. Now if this is the result of Scientology, then I'm signing a number of people up immediately, including myself! Not just the hero on set, Tom is one of the nice guys. Its safe to say that Cruise has obtained a very luxurious lifestyle with all the trappings, but its not been a bed of roses. He has suffered from being under constant media scrutiny, has lost a number of key relationships in the process and all this unmerited attention has made it a little uncool to like the fella. Quite how long the 53 year old can continue to hang off a plane by his finger tips or be involved in demanding fight scenes that have his legs above his head is open for debate, but today he is still a genuine A-list star, the likes of which we may never see again. On top of that he seems to be a remarkable person, capable of doing great things, which, in my book, makes him a cut above the conveyor belt of humdrum celebrities. 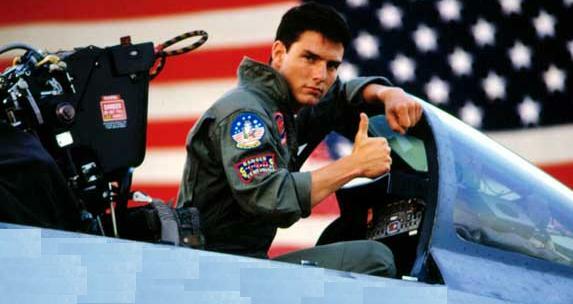 I like Tom Cruise, even if its still not cool to do so.